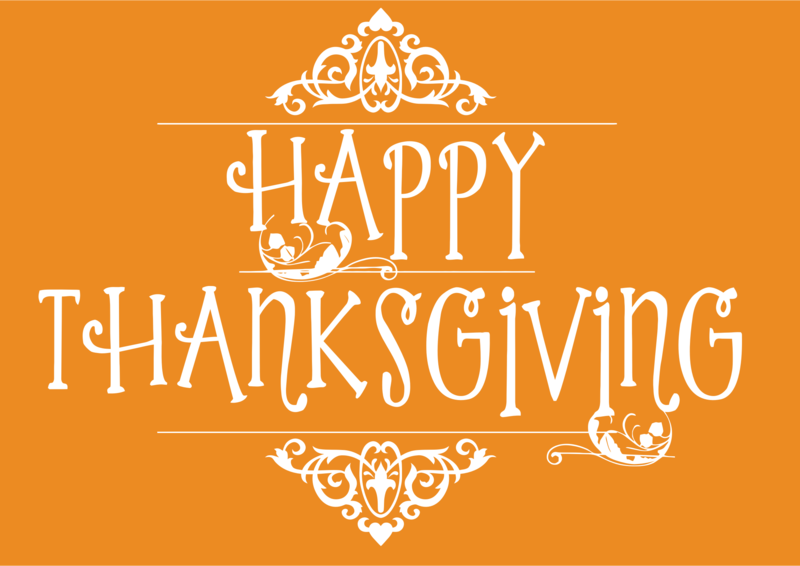 The Library will be CLOSED from Saturday, December 24th, through Monday, January 2nd. Winter Session begins on Monday, January 2nd and ends on Friday, January 13th. 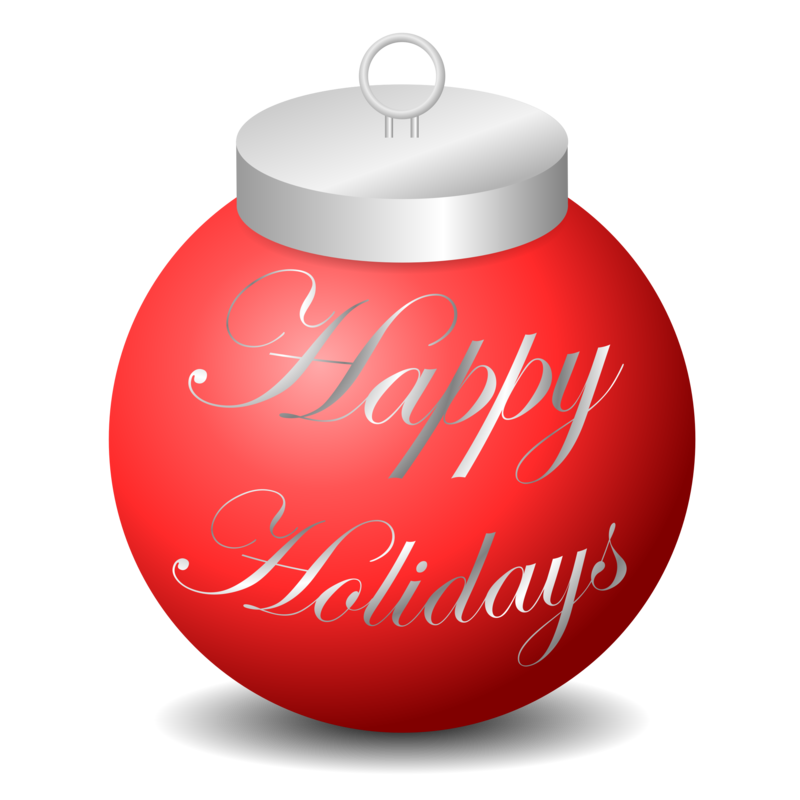 Everyone at the BLS Library wishes you all Happy Holidays! This entry was posted in Uncategorized on December 22, 2016 by Rosemary Campagna. This entry was posted in Uncategorized on November 16, 2016 by Rosemary Campagna. To encourage all Americans to learn more about the Constitution Congress established Constitution Week in 1956 . It was to begin each year on September 17th, the date in 1787 when delegates to the Convention signed the Constitution. In 2004, Senator Robert C. Byrd of West Virginia included key provisions in the Consolidated Appropriations Act of Fiscal Year 2005 designating September 17th of each year as Constitution Day and requiring public schools and governmental offices to provide educational programs to promote a better understanding of the Constitution. Test your knowledge of the Constitution. Take the Constitution Quiz and see how well you do. This entry was posted in BLS Faculty, BLS Students and tagged Constitution on September 9, 2016 by Rosemary Campagna. The William S. Hein Company has added program materials from the ABA Center for Professional Development‘s National Institutes, to their digital legal library collection, HeinOnline. 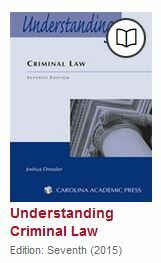 These substantive materials are assembled each year by the faculty for these in-person programs and represent original analyses of legal developments in the subject areas being addressed. Coverage begins with 2012. This entry was posted in BLS Faculty, BLS Students, E-Resource, HeinOnline, Research on August 6, 2016 by Rosemary Campagna. Hope everyone will be enjoying the beautiful 4th of July weekend. The Library will be open its normal hours on Saturday and Sunday and will be open from 9 to 5 on the Fourth. The Library hours for the weekend are posted below. Macy’s Fourth of July Fireworks event is scheduled to begin around 9 PM and last for about 30 minutes. The show will take place on the East River this year. Fireworks will be set off from the Brooklyn Bridge and from barges in the water below. You can view the fireworks from any area in Manhattan, Queens, and Brooklyn with an unobstructed view of the sky above the East River. This entry was posted in Bar exam study, BLS Faculty, BLS Students, Brooklyn Law School, Library Hours on June 30, 2016 by Rosemary Campagna. The Oyez Project, a free repository of more than 10,000 hours of U.S. Supreme Court oral-argument audio and other court resources, will be getting a new home. Developed by Prof. Jerry Goldman, Oyez has had its home at the IIT Chicago-Kent College of Law for over 20 years. It is a complete and authoritative source for all of the Supreme Court’s audio since the installation of a recording system in October 1955. Oyez also provides detailed information on every justice throughout history and offers a panoramic tour of the Supreme Court building, including the chambers of several justices. Prof. Goldman is retiring this month and a new arrangement for the Project has been formed with Cornell University’s Legal Information Institute and Justia. All of the information of the Oyez Project will not be available at the Legal Information Institute website. This entry was posted in BLS Faculty, BLS Students, Judiciary, Oyez, Supreme Court on June 1, 2016 by Rosemary Campagna. Joseph A. Jordan, was born in Norfolk Virginia and was a Brooklyn Law School graduate. He was a veteran, paralyzed from the waist down during World War II and confined to a wheelchair. In November 1963 Jordan filed suit on behalf of Mrs. Evelyn Thomas Butts to have the state’s poll tax declared unconstitutional. The poll tax was a tax levied on individuals as a prerequisite for voting. 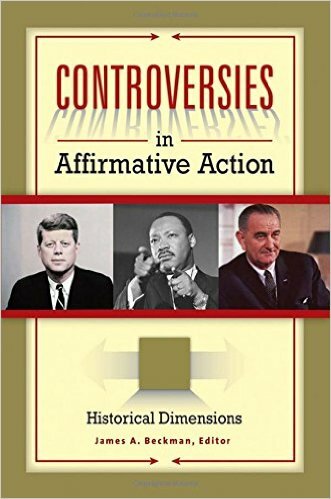 Although levied on all voters regardless of race, the tax effectively disenfranchised the poor, including many African-Americans. The tax was outlawed nationally in January 1964 by ratification of the 24th amendment, but it only addressed federal elections and remained silent on state and local applicability. Jordan’s suit was defeated nine times by local and state courts before finally working its way up to the U.S. Supreme Court. In March 1966 the case became part of the landmark decision, Harper v. Virginia State Board of Elections. Only six years out of law school, Jordan argued before the U.S. Supreme Court that Virginia’s poll tax should be struck down. The court agreed and ruled it unconstitutional under the equal protection clause of the 14th Amendment. Joseph A. Jordan went on to become the first black elected to the Norfolk City Council since 1889. He served three terms on the council, including two years as vice mayor. In 1977, he was appointed to Norfolk’s General District Court and retired in 1986. This entry was posted in Alumni, BLS Faculty, BLS Students, Brooklyn Law School, Legal History on March 19, 2016 by Rosemary Campagna. The Library will be open on Monday, February 15, 2016 from 9:00 am – 10:00 pm. Presidents’ Day is an American holiday celebrated on the third Monday in February. Originally established in 1885 in recognition of President George Washington, it is still officially called “Washington’s Birthday” by the federal government. Traditionally celebrated on February 22—Washington’s actual day of birth—the holiday became popularly known as Presidents’ Day after it was moved as part of 1971’s Uniform Monday Holiday Act, an attempt to create more three-day weekends for the nation’s workers. Most people associate Presidents’ Day with George Washington and Abraham Lincoln, since Lincoln’s birthday is in February also (February 12). The Library has several books on both of these presidents. Check out the titles below if you wish to learn more about these two presidents. This entry was posted in BLS Faculty, BLS Students, Brooklyn Law School, Legal History, Library Hours on February 12, 2016 by Rosemary Campagna. The Supreme Court heard arguments in the case Fisher v. University of Texas this past December. The case centers around the use of race in admissions at the University of Texas at Austin. The University of Texas at Austin considers race as one of various factors in its undergraduate admissions process. Abigail Fisher, who is Caucasian, was rejected for admission to the University’s 2008 entering class. She sued the University and school officials, alleging that the University’s consideration of race in admissions violated the Equal Protection Clause. Ms. Fisher contends was rejected because of her race. This case was originally argued before the Supreme Court in 2012 and the Justices issued a narrow opinion sending the case back down to a lower court for another look. The Supreme Court has taken the case again and will issue their opinion sometime this year. 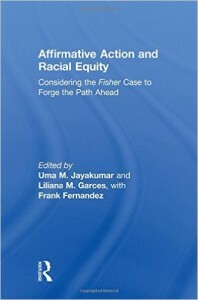 Affirmative Action and Racial Equity is a critical resource which helps the reader understand the nuances of the affirmative action legal debate and identify the challenges and potential strategies toward racial equity and inclusion moving forward. 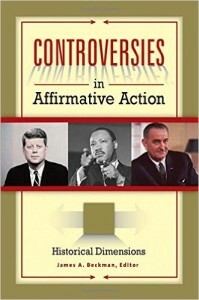 Controversies in Affirmative Action is an engaging and eclectic collection of essays from leading scholars on the subject, which looks at affirmative action past and present, analyzes its efficacy, its legacy, and its role in the future of the United States. 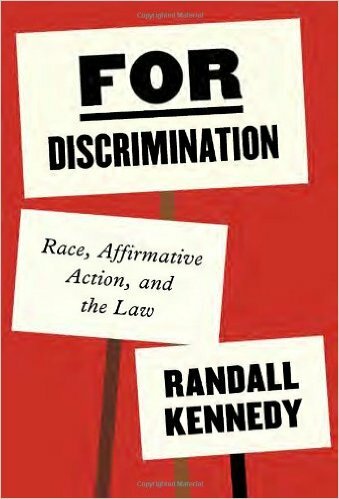 What precisely is affirmative action, and why is it fiercely championed by some and just as fiercely denounced by others? Does it signify a boon or a stigma? Or is it simply reverse discrimination? What are its benefits and costs to American society? What are the indications determining who should or should not be accorded affirmative action? 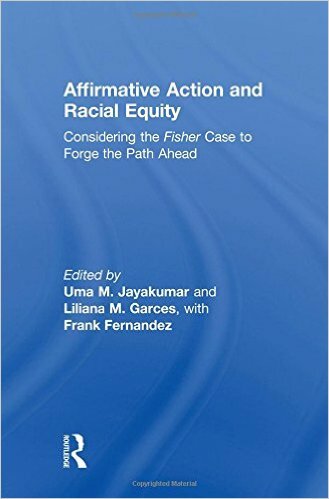 When should affirmative action end, if it must? 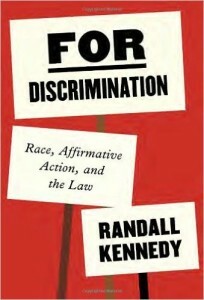 In For Discrimination, Randall Kennedy gives a concise summary of the policy. This entry was posted in BLS Students and tagged affirmative action on January 9, 2016 by Rosemary Campagna.